There are 36 reviews of Scuderia Ferrari Black. I got a sample of this and maybe it's because it was a splasher vial and not a spritz but I found this to be incredibley weak, I can barely smell anything. What I can smell starts off sweet with a clean edge, like apple scented soap but on my skin it is just a very faint floral, definitely jasmine and a synthetic rose. Sadly very generic, plain, too floral and just not my thing. I got this as a freebie from Beautyspin. Surprisingly better than I expected! Like others have mentioned, this has undeniable similarities with Boss Bottled. Warm, spiced apple/fruit with a touch of citrus and vanilla/woody/amber base is mostly what I'm picking up. Not really my thing, but a nice scent at a very nice price point nonetheless. Average longevity and projection on me. I liked this one during the opening notes, very clean, fruity and fresh. Then it settled down into a softer, powdery smell. Reminded me of a weaker version of Boss Bottled. Very similar to Ducati Fight For Me. If i have to use two words to describe it,it will be ROMANTIC and Lovely.Yes feeling loved whenever i wore this fragrance and i get all the compliments.i really love it. Top notes is very pleasant and sweet.bergamot and lime really make it a fresh in top notes.so many people love this fragrance specially girls! Perfect for intimate occasion full of dream and romance in autumn evenings and i recommend it for a modern man.The longevity is good on my skin. As others have mentioned, this fragrance smells very synthetic. Whether it is Ferrari Black's fault or not, it did not mix well with my body chemistry, leaving a strange 'baby powder' scent looming amid the chemical tones. (I know, weird.) I can't recommend this cologne to anyone. 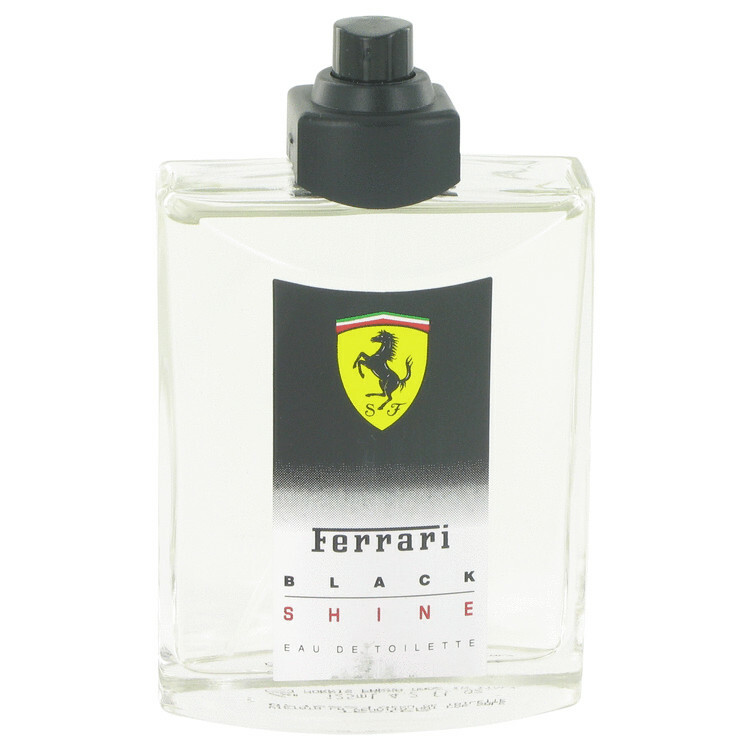 Clearly inspired by Boss Bottled, Ferrari Black is a good scent, but smells too synthetic to my nose. The apple note is very loud and also the other notes are sharp and that turns my stomach sometimes. Sillage, lasting power and projection are high. There are no member images of Scuderia Ferrari Black yet. Why not be the first?